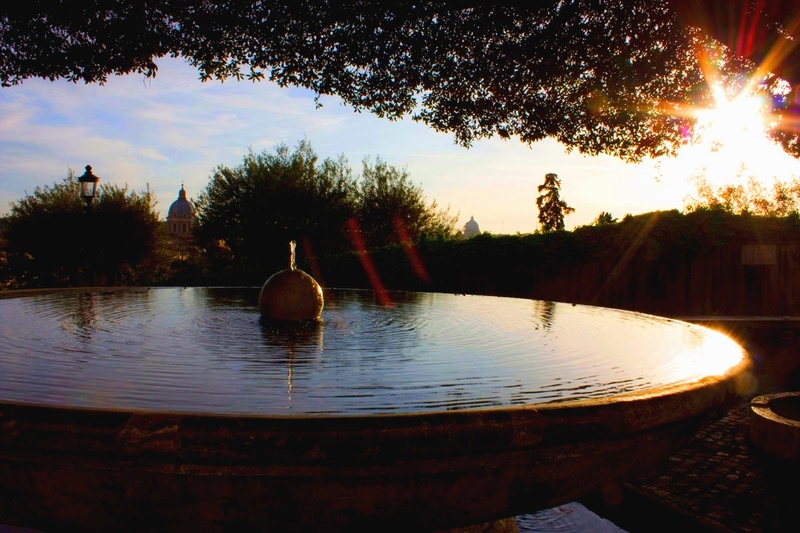 There is a fountain in Rome that shines with the brilliance of water, yet partakes of the nature of air. and your mind wanders in quite dreams as the wind creates liquid ripples on the watery radiance. 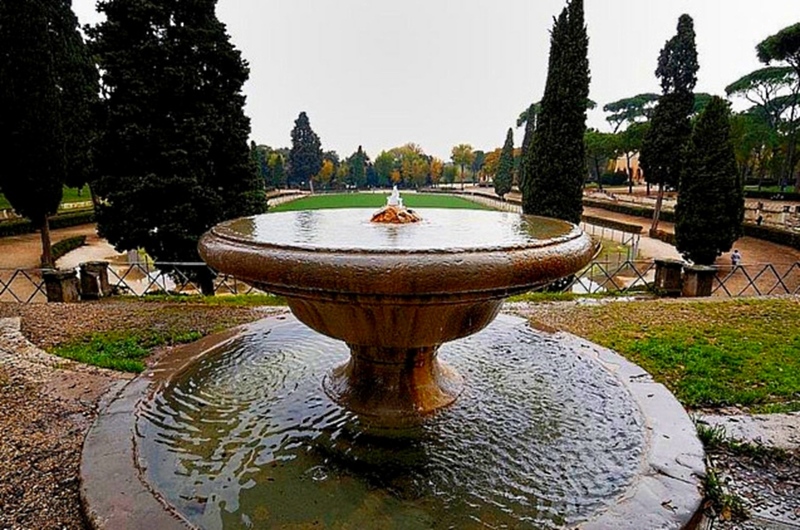 Villa Borghese holds one of the most charming little fountains to be found in the city of Rome. 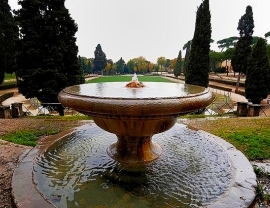 Pure nature lives in the Fontana dei Pupazzi as its waters gently reflect the Roman clouds above and the pine and cypress trees which surround Piazza di Siena in the famous public park. 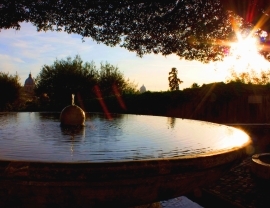 The liquid crystal pours into the ancient granite vessel and then trickles down to the lower basin with a low sound, a sort of mesmerising chant as magically charming as that of a pagan nymph hidden amidst the greenery surrounding the fountain. 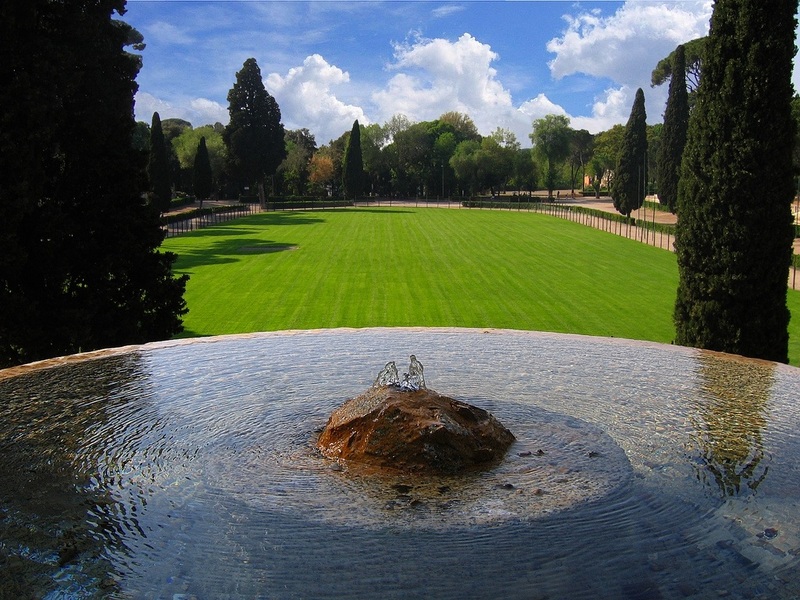 The water fabric in the upper vessel, with its never-ending geometrical rings, reminds the visitor of the infinite, unceasing cycle of life, alway reborn from its central spring. 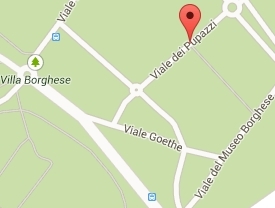 That's real magic, in the already magical setting of Villa Borghese. The scenery was such as arrays itself in the imagination when we read the beautiful old myths, and fancy a brighter sky, a softer turf, a more picturesque arrangement of venerable trees... 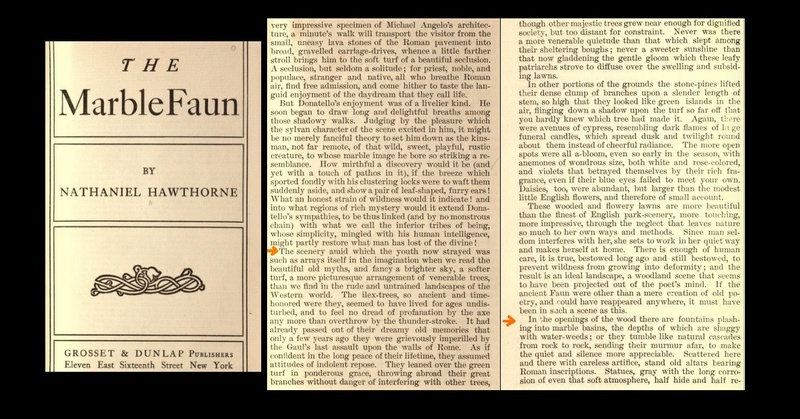 If the ancient Faun were other than a mere creation of old poetry, and could have reappeared anywhere, it must have been in sach a scene as this. In the openings of the wood there are fountains plashing into marble basins, the depths of which are shaggy with water-weeds; or they tumble like natural cascades from rock to rock, sending their murmur afar, to make the quiet and silence more appreciable.